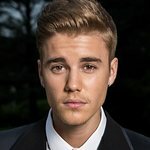 Justin Bieber is one of the stars taking green to a whole new level with the online launch of the second annual celebrity charity Bid to Save the Earth Green Auction, a momentous live event and companion online auction to raise funds and awareness for the preservation and sustainability of our planet. The online auction, powered by luxury charity auction company charitybuzz.com, launched on March 17, bringing hundreds of once-in-a-lifetime experiences in the realms of fashion, entertainment, business, sports, luxury and travel to the fingertips of bidders around the world. Proceeds will benefit four leading environmental nonprofits – Oceana, Natural Resources Defense Council, Conservation International and Central Park Conservancy – which collectively work at the local, national, and international scale to conserve nature for the long term well-being of people. Bidding is open through April 7 at www.charitybuzz.com/BidtoSaveTheEarth. International celebrities, creative icons, industry leaders and conservationists have joined together to donate exclusive packages and experiences to the auction. From a style consultation with Vogue’s André Leon Talley and Diane Von Furstenberg to a night backstage with Lady Gaga to a day around town with President Bill Clinton, the Green Auction is giving bidders unprecedented access to the world’s leading influencers. Celebrity participants include Heidi Klum, Justin Bieber, Marc Jacobs, Michael Kors, Jayni and Chevy Chase, Harrison Ford, President William J. Clinton, Karl Lagerfeld, Tory Burch, John McEnroe, Diane Von Furstenberg, Luanne Rice, Ralph Lauren, Carolina Herrera, Robert F. Kennedy Jr., Vera Wang, Lady Gaga, André Leon Talley and many more. Additional funds will be raised at an invite-only Bid to Save the Earth live auction hosted by Seth Meyers at Christie’s on March 29 in New York, in collaboration with Runway to Green. The carbon-neutral event will bring together top art collectors, philanthropists, financiers and environmentalists with the fashion community. Runway to Green will host a fashion show sponsored by Tiffany & Co. on the night of the live auction and make designer collection selections available online through www.net-a-porter.com, which will be the exclusive online retailer of the collection for the launch. Proceeds from the sale of the collection will also be divided among the beneficiary organizations. Details on how to participate in the online auction and how to donate, volunteer and act can be found at www.BidtoSavetheEarth.org. In addition to bidding in the online auction, the public is invited to make a symbolic bid for the environment by texting “gogreen” to 20222 to donate $10.00. Funds will go toward Bid to Save the Earth beneficiaries.